Digestive There are 8 products. The best of the Hierbaluisa plant in bulk with all its properties and benefits. To infuse alone or combine with your favorite Helps Botanicals plants. A classic of the infusions of La Tetera Azul. 100% natural chamomile of the best quality. 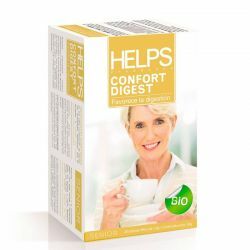 A perfect blend of organic classic digestive herbs.